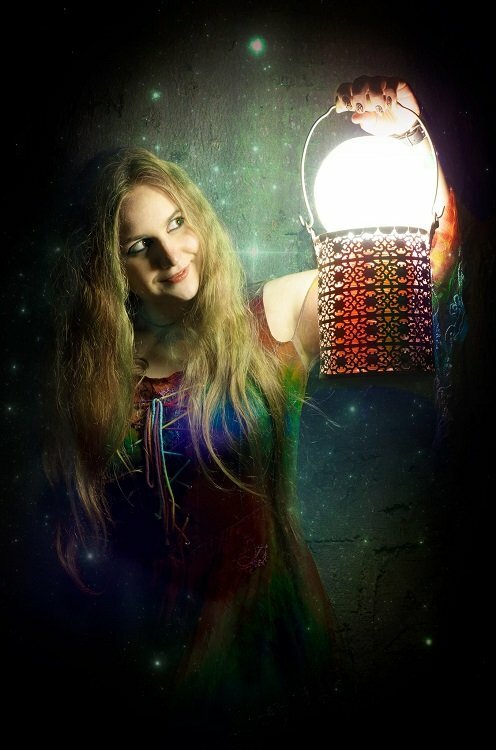 This time our light shines on an amazing Italian Paganfolk band that is gaining a lot of momentum throughout Europe. We’re talking of course about EMIAN, the four person band that last weekend even came as far north as Belgium, when they played at the fantastic Celtic Night Geluwe. 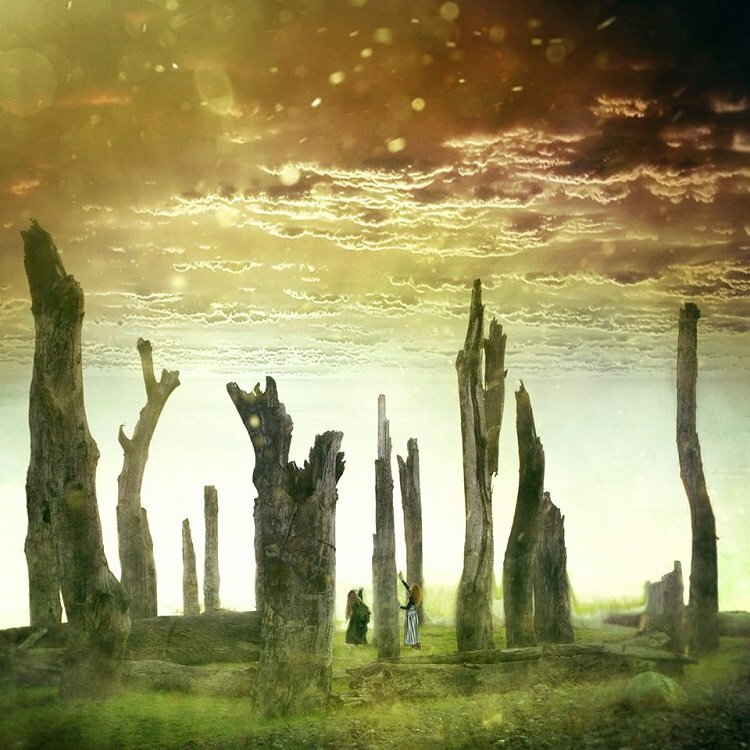 We have for you a review of their first album, AcquaTerra, which was released in 2014. 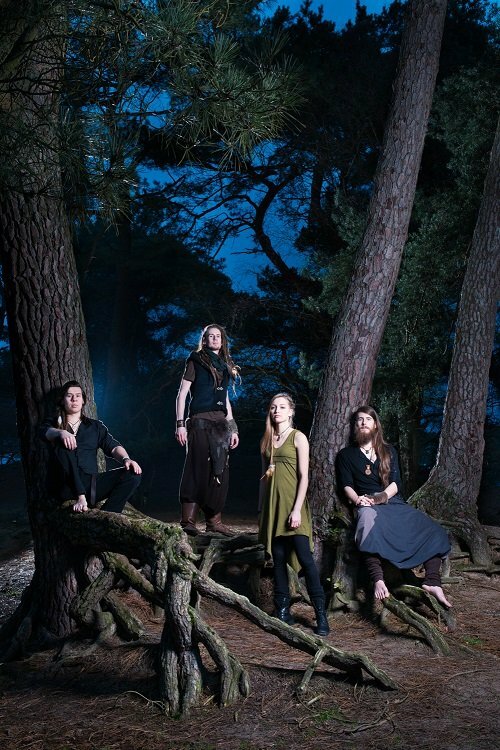 Lots of harp, lots of good honest musical excellence, and an obvious Omnia influence, making it especially interesting for fans of that particular Dutch pagan band. 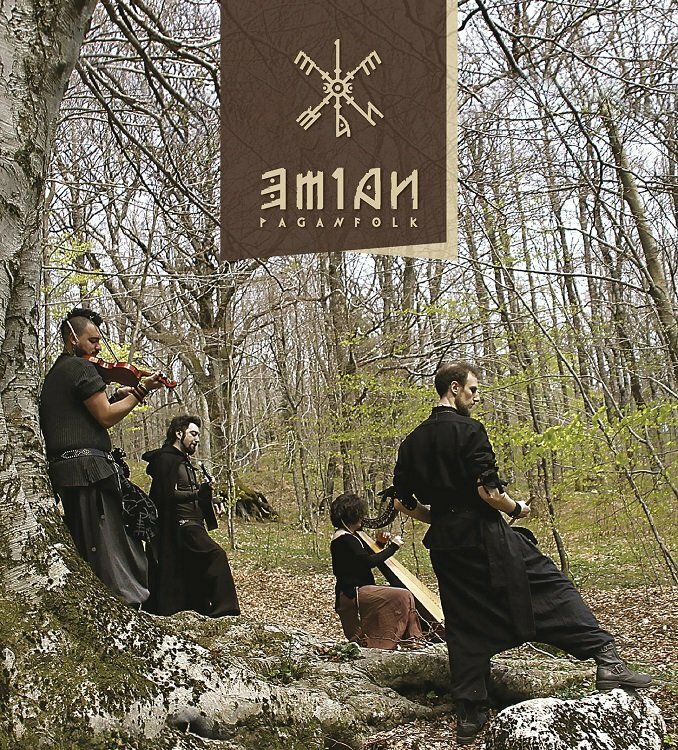 EMIAN is an Italian band, consisting of four people, Aianna Egan, Emain Druma, Rohan and Máirtín Killian, that have lost their hearts to Irish and Celtic music. With their first album “Acquaterra” (2014) they have left their mark on the European folk scene, and their musical prowess is also shown by the many, many concerts they play throughout the year! Right off the bat the sounds of the harp take you into a dream-world, and as the song progresses the harp starts to play with the strings and you just know that this will be a “sit back and relax” type of album. The sounds of the sea, the creaking of ships decks, the ships bell keeping time, they all create an atmosphere well befitting the music, and the warm vocals and soft harmonies only add to the feeling. A Sailor’s Tale is a tale of love lost, and how could a sailor’s tale not be? 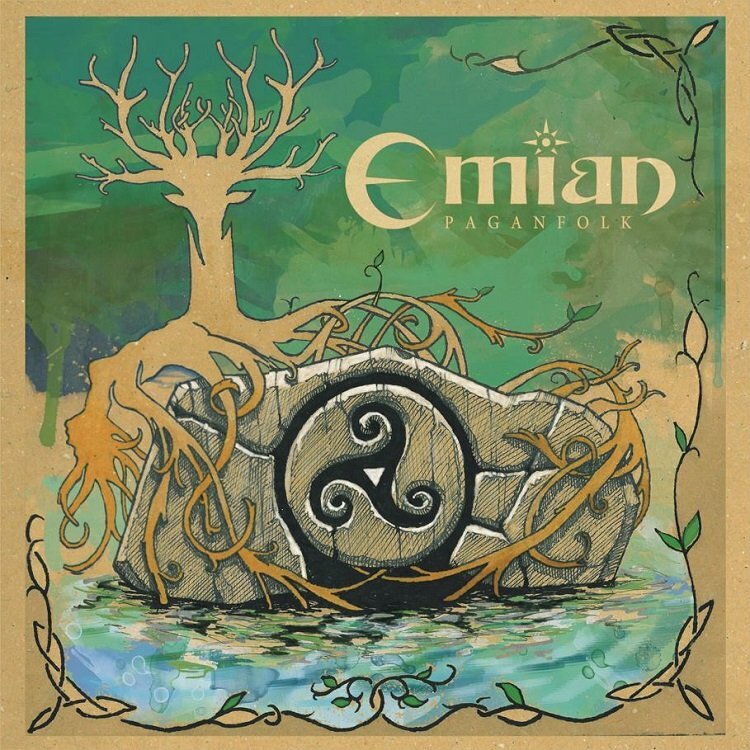 With a harp that is very reminiscent of ‘Grunde Lunden’, at least in the beginning, and vocals that have the same style and feeling as ‘The Bold Fenian Men’, it is immediately clear that EMIAN is at the very least inspired by Omnia, and that they will certainly share a fan-base. The song starts off like something you might have heard in an old medieval castle, gentle, with a lot of clarity. But then, after the horn sounds to signal the march, the mood changes and the same melody now becomes part of something much more powerful. Anna certainly knows how to play the harp and in this song she takes the instrument all the way! There are many different levels of intensity, many different layers throughout the song, and they all flow together naturally like a story. A pure Irish traditional about the Battle of Cromdale. If it weren’t for the clear Italian accent in the singing one would never know that this song wasn’t recorded by a very experienced Irish band. Very well done, a pleasure to hear! Butterfly is another traditional, but an instrumental one, and with a nice spin to it. Closing my eyes I can imagine children playing in the sun, dancing around to these wonderful tunes. All is good when listening to such a beautiful song! It’s hard to describe how this song starts. Maybe one could say it starts with the sounds of chaos from which everything forms. But when the chaos subsides and the main melody starts we hear some more very clear and obvious Omnia influences! It is amazing to hear how EMIAN has taken this song and made it their own, with lyrics and musical variations. A song fit for Mother Earth! Dúlamán has been played and recorded by many a band and artist, and everyone always gives it their own spin. EMIAN’s version is a very rhythmic and powerful one, almost making it sound like a war-song instead of a song about gathering seaweed and about love. The power in the percussion does make your heart strong, and when the song is finished it leaves you wanting more. The sharp harp sounds that this song starts with quickly snap you out of that dark deep power, and when the melody starts you immediately know why this song is called Dance in Circle. It is a very danceable track and I can certainly see large circle dancing, preferably around a large fire. Again an epic song, telling many tales through music alone, this song needs to be shared with as many friends as possible! Let’s all dance in the circle until the sun rises again! Echu Eo Ar Mare, a Breton hanter dro, is the last song on this album unfortunately. I would have liked for this album to have continued, but I know there is only so much space on a disc. This song is a perfect ending though, as it is a perfect example of a song that can be enjoyed either just sitting on the sofa listening, dancing through your home, or dancing with a hundred visitors on a festival. It leaves us with great promises for the future! A quick look at the album-cover immediately shows what kind of band this is. They are Celtic oriented, and they are Pagan, and they have no intention of hiding it. The stag, the leaves, the triskele and triquetras, they all leave no doubt. The style of the artwork actually reminds a lot of the album cover from Damh the Bard’s ‘Antlered Crown and Standing Stone’. I love it, as it sure shows you what to expect! Hopefully we won’t have to wait too long before they start playing all the major festivals in Europe, and before they release another album, because I’m sure we haven’t seen the last of EMIAN yet! For months, if not longer, we have been teased with posts on Facebook by Elvya, showing progress on her first album. Guest musician after guest musician, all entering the well known Orchus studio of Fieke van den Hurk, or the Wisseloord Studio in Hilversum, made us very curious as to what this album would turn out to be like. And now, shortly before the actual release of the album, we had the opportunity to review it. And what an opportunity it was! But before I go rambling on, and give away everything I want to say about this album in the intro of the review, let’s just start with the track by track review you’ve grown accustomed to by now. Owning and operating a radio-station in the Folk scene means that I get to hear some amazing music, I get to receive some amazing albums. In our scene the focus is on beauty and feeling in the music, not on making as much albums or selling as much music as possible, and that translates into the overall quality within the entire world of folk. There just aren’t many “bad” albums being released. That being said, sometimes we find a diamond in a field of pearls, and I would say that we found one today. Is it due to the musical mind of Elvya? Is it thanks to the engineering and production genius of Fieke? Could it be the star filled line-up of guest musicians that helped create this album? I don’t know, I think it’s most likely a combination of all of the above. But I do know that without Elvya this album would not exist and I am very thankful that it does! I’ve had a conversation with someone once who pointed out that being honest with reviews also meant pointing out flaws, and he was right. But tell me Mr. C, what do I do when I can’t find any? The only downside is that some of the tracks aren’t very suited to be played on CeltCast, as they don’t have the same Folk-feel as most of our music does. This is however because, in my opinion, these songs transcend the boundaries of folk, and I think that for instance fans of Era and Enya will also love this album. All I can say is: Everybody, go and buy this album as soon as it is released, and emerge yourself in these Untold Stories as I have. I guarantee you won’t be disappointed! 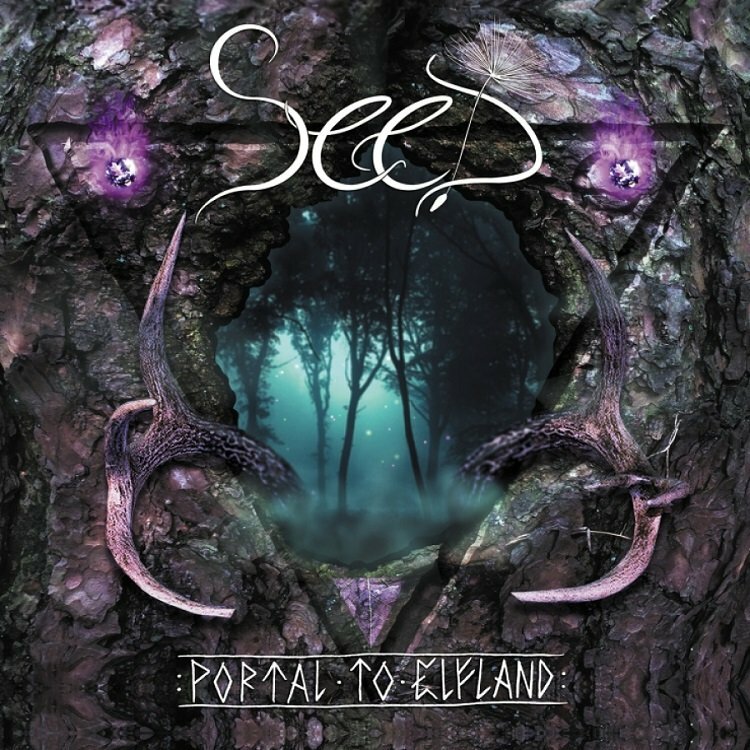 Once more we get a chance to review an album before it’s released, and this time we have the honour of listening to Portal to Elfland, the first full length album of the Dutch Paganfolk band SeeD. As a band they are deeply rooted in nature and myth, and this resonates through the entire album. We have also asked Koen, the lead singer and flautist of the band, to give a little background information about each track. 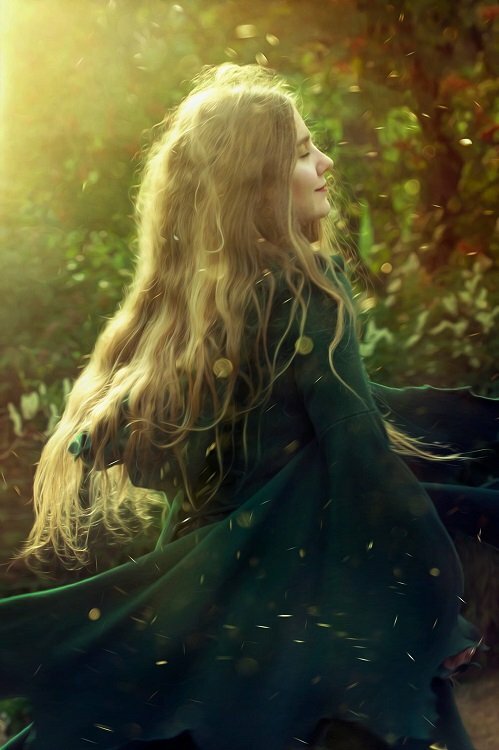 CeltCast: The first song, ‘The Veil’, sets the atmosphere for a mystical journey, which is of course very appropriate for and album which is intended to form a Portal to Elfland. During this track there is some playing going on with the stereo image of the music, which definitely gives it a very mysterious feel. Koen: An intro that I think speaks for itself and acts as an introduction to open the listener up to the concept of the Portal to Elfland. CeltCast: The second track is also the title track for the album, ‘Portal to Elfland’. The first thing to notice in this song is the very heavy bass presence. The song continues to flow in this mystical atmosphere even through the chorus. There is a depth in this track that gives it an almost shamanistic feel. As a personal preference I would have liked to have heard some more high end in this song, but there’s no accounting for taste is there? CeltCast: Next up is the song ‘Twilight’. If I were to pick one word to describe it it would probably have to be ‘intriguing’. First there is the lightness of the flute, and then comes some deep percussive bass. This song slowly builds to completion from the start. Just over halfway in there is an energy boost that takes control of your body, almost forcing you to move. Koen: We musically show the onset of the evening. The sky turning from blue to pink, to purple, to red. And the creatures that become active that time of day, along wit hall the mystique of the dark parts of the forest and the rest of the world. CeltCast: And then comes ‘May’s Jig of Lunacy’. For a track with ‘jig’ in its name it starts of rather slow, but then comes the power! This is in my opinion the first track of the album that clearly shows a connection to the earlier work of Omnia. It’s very powerful, very musical. Heavy on the percussion, this is a very strong song! Koen: A jig written for the creatures of the Fae world, that don’t like to play according to the rules as set by man. Something we often see in Balfolk dancing. It’s possible to dance a jig to it, but a true Balfolker, fixated on the rules of the dance, will go mad because the steps don’t fall the way he or she would want them to. Lunacy drives people crazy, think about witches that are strongest during a full moon and in the old days would have been labelled crazy and dangerous. Koen: An up-tempo song in which we act out the playfulness of being free in nature, especially the male and female aspects that are always teasing each other. You can see a mental image of a Nymph pretending that she doesn’t want to get caught by the horny Satyr that is chasing her. CeltCast: Track number six is called ‘Torc’. The intro of the song is very deep, almost as if it’s meant to bring you into a trance. Although the song does climb out if that depth the trance-like state continues. It feels as if this song, in particular the flute, is trying to tell a story. The transitions between energy levels within this song happen so naturally that you can hardly even notice your mood change. A very musical song. Koen: A song in which we show our faith in totem animals. It starts with Omnia’s ‘Bran’ acting out a raven, but it quickly flows into the ‘Torc’ part that we wrote that symbolises the boar. I myself have already been on a journey with my totem animal the heron for years and the interconnection is becoming stronger every day. Koen: A musical representation of the story of Aerie, a character from the well know RPG game series Baldur’s Gate. A winged elf that is viciously robbed of her wings and now has to live among humans without the freedom she once knew and without ever seeing her kind in the high heavens again. 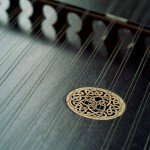 CeltCast: The eighth song signals that we are already halfway through the album, unfortunately. The track isn’t only called ‘Brave’, it’s a song about being brave and finding your own way to change the world around you. This song has some very, very inspiring lyrics! A very powerful song, feeding the soul with feelings of strength and possibilities. I’m loving the positive vibe from this! Koen: A song that speaks of the hard choice of staying true to ones self or to go with the flow with life and the people around you. The choice to conform yourself tot he more ‘normal’ people or to just be your happy self. In this song we encourage you to be brave, and despite the fact that it can be difficult at times, to stand strong and be yourself. CeltCast: Next up is a track with a very familiar name, ‘Green Man’. An iconic figure in Celtic mythology, and very common in neo-pagan circles, the Green man has had many songs written about him, and this song is a worthy addition to that collection. The chants, with a very subtle harmony, create a very danceable ode to this figure of mythology. Koen: A song in which we honour the Green Man. A leafy face in many shapes and sizes that symbolises the primordial power of nature and the changes that that power can affect. CeltCast: ‘Lady of Laughter’ is, as the title suggests, a very cheerful song. 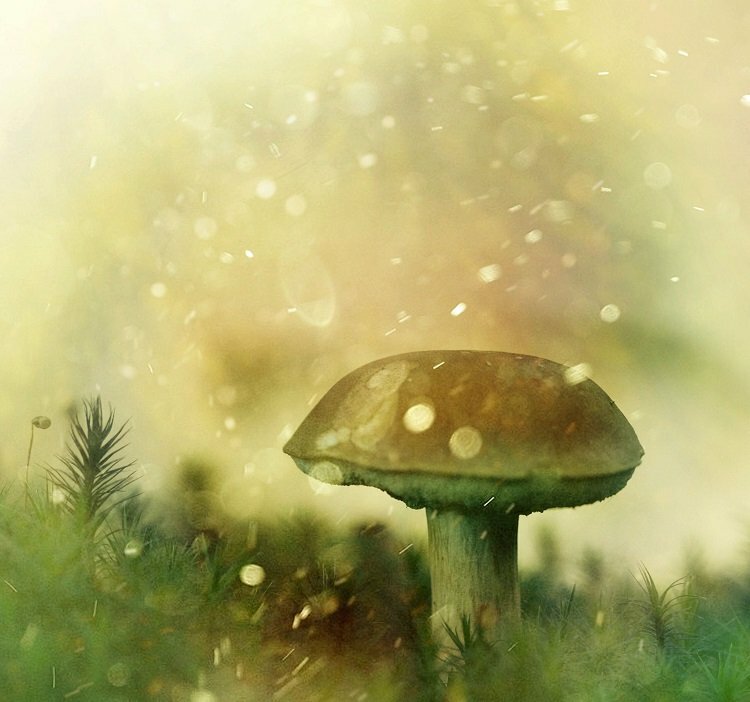 Slightly more up-tempo than some other songs on this album it conjures up images of faeries in the forests and fields, laughing and dancing, lighting up their surroundings with mischief and happiness. 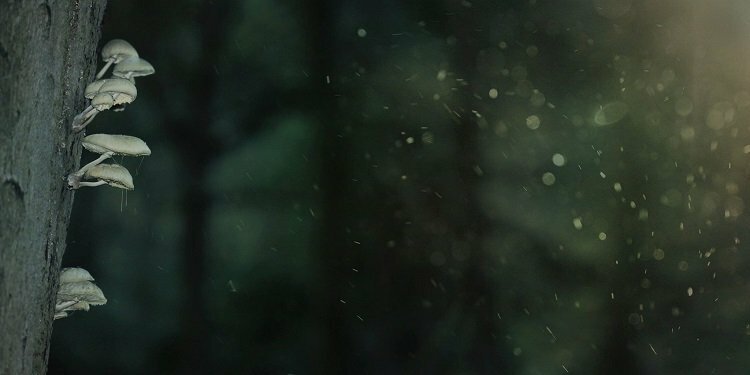 Koen: A female fae that Koen encountered, and with the inspiration that she gave him we wrote this song. In it a message to respect Nature and the Fae, because they can be unrelenting in their retribution. CeltCast: Quite the opposite, the next song ‘Land of Melancholy’ is slower and more down to earth, though one shouldn’t be fooled by the title, the song certainly isn’t depressing in nature. It actually becomes rather powerful further on in the track. The song ends with quite the surprise on the lyrics. I did not expect that. Koen: A fairytale written by Koen about two lovers who accidentally stumble into the Land of Melancholy and there fall under a spell of the rulers lament, because she has lost her lover. As long as they are enchanted they will dance on the fields of melancholy and will never return to what they left behind in the lands of man. Again a testament tot he unrelenting nature of the Fae. CeltCast: Starting with some really nice percussion and the clear and crisp voice of Sara ‘Gathering Mushrooms’ is something different. The song has a familiar feel, even though I wouldn’t be able to pinpoint it. The combination of the strong and somewhat heavy percussion and the high and happy sounds of the vocals and flute make for a very interesting and entertaining song! Koen: A song written to capture the atmosphere of a flaming campfire, the bottles of mead and the nice music and people at a festival. Somewhere near the end a 7/8′ part, to show that sometimes alcohol can have a different, less happy effect. And also just because it can be nice to write some challenges into more straight folk music to keep the musicians in the crowd entertained. CeltCast: The energy in ‘Crazy Pagan Party Song’ reminds me of the happy summer festival feeling of Virelai. Fast rhythms, fast melody, I’m definitely going to want to see this song played on a festival main-stage somewhere, with a few thousand people dancing in circles in front of it! It will wear the dancers out but will give a festival an amazing power-boost! I usually choose one track from the album as a favourite, to give some indication, some context, as to how I listen to the album and what I’m looking for. For this album I would definitely have to go with ‘Twilight’. The variations in the song, the different levels, they all make the song very interesting and certainly entertaining! One thing definitely worth pointing out is the artwork. The band logo, the antlers, the tree bark, everything on the cover comes together in a way that just calling it “artwork” isn’t enough. I would actually call it Art, with intentional capitalization! I do hope they will sell posters of this, because I really want my very own Portal to Elfland at home! Something that is also very noteworthy about this album is the way in which it was recorded. As opposed to the regular way of going into a studio and recording each instrument separately SeeD had taken a very different approach. Their “studios” were the forest and in some cases a church, and they recorded the track in more of a “live” style, playing together as if they were on stage and in that way capturing the shared vibe on the album. Overall this album is very interesting in several ways. First simply because of the music. It is music written and played out of a passion, and that is something that you can really hear in every track. The second reason that this album is interesting is because it show a lot of promise. Is it an immaculate album? No, I can’t say perfection has been accomplished. The recording and mixing of the album are good, yet not at par with the major studios in the world. I also believe that Koen’s singing will become more confident, when in time, through practice and experience, it will have improved. But you know what? Even though there are other minor things that I could point at, overall I really love the album! I think it is a gem, a must-have in the Dutch Paganfolk scene, and I am a very happy man for having a copy of it! 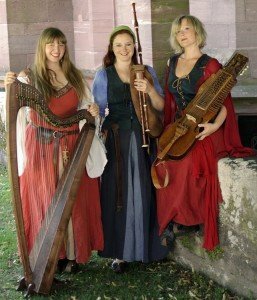 I can’t wait to see their performance at Castlefest and I am very curious as to what the future has in store for SeeD! 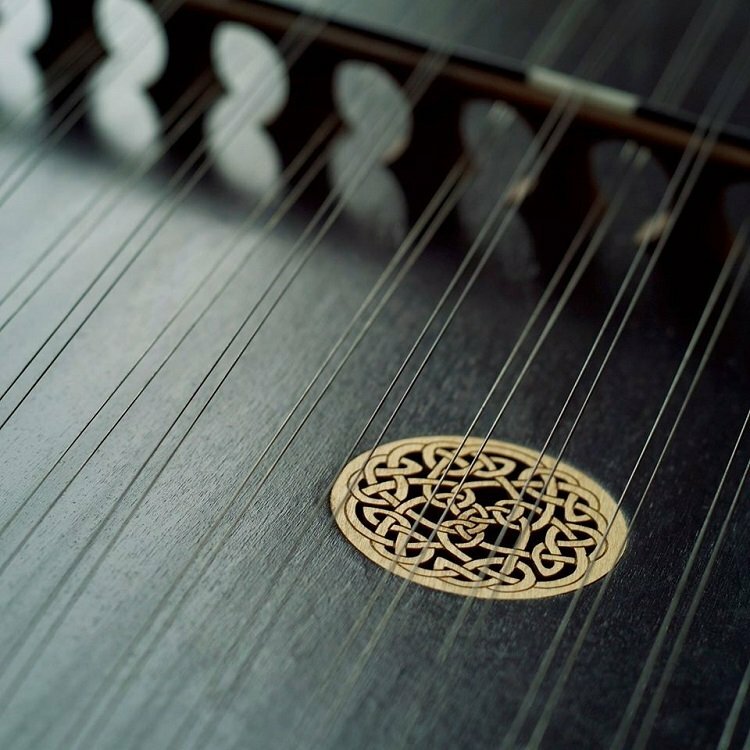 Sara Weeda: Ashbury Irish bouzouki (open D tuning) called ‘Bronagh’, Brendan White double skin Irish bodhrán called ‘Donar’, Cort Earth acoustic 12-string steel guitar called ‘Ysis’. And that, of course, means that it’s time for another Thursday Theatre. Our brightest spotlights this week are aimed at Die Irrlichter, as our lovely Lena has made a review of their latest album “Zaubergarten”. Read all about Lena’s thoughts on the dreamy atmosphere this album creates. About the danceable tracks and the easy listening songs. About their fresh new songs and fresh new versions of some lovely traditionals. Let Lena take you a journey into the world of Die Irrlichter! After waiting 5 years Die Irrlichter finally released their 7th studio album. A long time of patiently waiting as come to an end. ‘Zaubergarten’ (Magical Garden) is a thematic album that contains mainly soft dreamy songs that invite the listener to dream away. All songs have something to do with magic, it’s either in their story or simply in the music itself. On this album ‘Die Irrlichter’ have made renditions of three well known songs, which I’ll allow myself to call Medieval Evergreens: ‘Sator arepo tenet opera rotas’, ‘Merseburger Zauberspruch’ and ‘Bergtrollets firei (a.k.a. Herr Mannelig)’ are all songs that have been interpreted by lots of bands already and will be interpreted by many other bands in future, for sure. ‘Die Irrlichter’ versions are fitted to the dreamy magical atmosphere of the album. ‘Sator arepo tenet opera rotas’ is one of the oldest and most often covered traditional magic courses of medieval times. The interpretation of ‘Die Irrlichter’ is sung in their typical choir singing, while a danceable atmosphere is being created using lots of flutes and a mystical bagpipe tune. ‘Loscher Bienensegen’ is a mystical song that is accompanied by a soft tune, which can be heard throughout the album. ‘Merseburger Zauberspruch’ is a soft and dreamy ballad that invites the listener to just close the eyes and dream away. It is one of the featured traditionals. ‘Die Nixen’‘s lyrics are by the German author Heinrich Heine and lay out the moral of this storytelling song. ‘Die Irrlichter’ are famous for using this format for their songs. It’s a lovely song that requires the listener to pay close attention to the tale that is being told. ‘Skebergslaten’ is a traditional Swedish harp song. 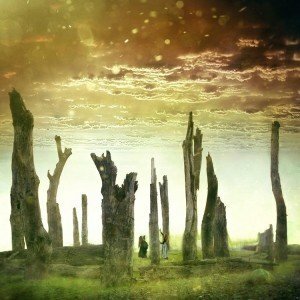 Some mystically played flutes complete this magical instrumental song, carrying it’s beauty to the listener. ‘Zaubergarten’ is another dreamy ballad and the central song of the album. Soft voices, harps and just a pinch of violin once again create a dreamy atmosphere, in which you are invited into this magical garden. ‘Elfenflug’ is the next instrumental song on this album. To me at least, these are the strongest, since it’s only their music that electrifies you. A fresh and vivid song that is hard not to start to dance to. ‘Thora und der Lindwurm’ is another storytelling song, based on an old Islandish saga. The vivid rhythm and the typical female voices of ‘Die Irrlichter’ create their own magic once again. ‘Bergtrollets frieri (a.k.a. Herr Mannelig)’ is the third traditional, which many other artists have played before. This ‘Die Irrlichter’ rendition is a soft ballad. ‘Bourré Abière’ is a French traditional played on a nyckelharpa with an uprising, almost oriental, rhythm that is bound to set you off dancing! ‘Die Fee’ contains the manly yet soft voice of Martin Seifert that sings along with the fairy vocals of ‘Die Irrlichter’. It tells us the story of a young man that has to choose wisely for a wish that will be granted by a fairy. A well known violin played by Charles Matthew Rouse makes the cooperation of ‘Die Irrlichter’ and ‘Die Streuner’ perfect. Another fairytale told in a dreamy song. ‘Mittsommerreigen’ is an almost pagan style instrumental song with flutes and drums that is aptly named ‘Midsommer dance’. Several months ago we were pleasantly surprised as out of the blue two CD’s popped into the mailbox. 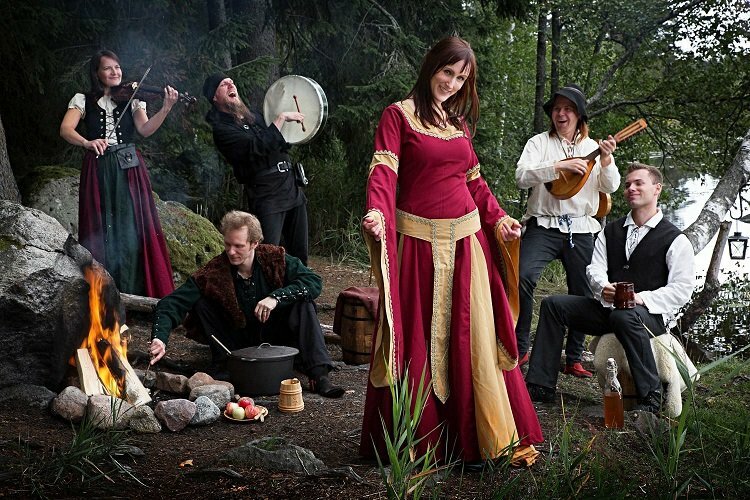 They were by a Finnish band that we had never heard of, Greenrose Faire. A band originally formed by Tomi Hyttinen and Niilo Sirola with a background in hard rock music, they started this group with only one rule: “No electric guitars”. And for this I say: Thank you! 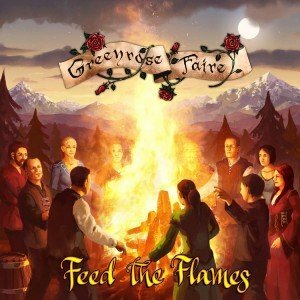 Because even though I do appreciate the odd electric guitar riff, Greenrose Faire has created their own unique style of music, and it definitely makes me happy! I first fell in love with their music when listening to their previous album Home Is Where The Heart Is. The clarity of the vocals, the catchy tunes, the lyrics that conjure up deep seated feelings, it combines all of that in a very well blended musical experience. But enough about their last album, we were fortunate enough to get the new one before the album release and do a review on that! For this review we took a slightly different approach. We reviewed one track at a time, and asked Greenrose Faire to supply us with some background on the tracks from their perspective. Powerful and energetic from the start. This song has some very tight drum sections. There is a definite party atmosphere in the chorus. I would consider this to be a great track to end a concert with. You know, before the encore, because they are too hot to stop! It’s the first track of the album and it starts the fire that will not go out. This will also be the opening song at our coming live shows, and it is to remind everyone to get on their feet, put their hands in the air, and give in to the music and stomp and dance and leave all the mundane worries aside for a while. An epic song, telling a story. The violin is very moving in the track, later it becomes highly energized, and a game starts between the violin and the keys. There is some serious bass in this track, I really enjoyed that! The song keeps you captivated from start to finish, over six minutes. I’m loving the vocals, same as I did their previous album. I love song of epic proportions in the vein of Braveheart. How Deep Love Can Be? It also has a 3-minute violin/organ speed solo in the middle, because, why not? This is hats off to all the world’s taverns. When you feel that you have to go raise one or two pints to the parched lips, it is comforting to know there’s your own tavern where the staff is waiting just for you! It starts off quite laid back, and with a title like “here waiting” it definitely creates a feeling of anticipation. Sounding rather intimate, I feel a close connection with the person waiting. Varying in intensity, the song keeps the listener interested in the rest of the story throughout. I hope she found the love she was waiting for. This was one of the very first songs Tomi wrote for Greenrose Faire, and now we felt it was finally time to put it on tape in the grandeur it deserves. It’s of a love story through dark times, and of waiting and longing and not knowing if you’ll ever see your love again. The track starts off very interesting! It has a very intriguing rhythm, somewhat of a tribal feel. The bass in the drums reverberate thought-out the body, I really want to hear this track through some massive stage speakers. Even though I really noticed the drums, the rest of the instruments, as well as the vocals, are very well-balanced. A quote from the track is “share the feeling with me”. Well, to me this track feels like sitting around a fire in a cave in the mountains, with good friends, drinking, laughing and sharing stories. Listened to it a couple of times in a row. 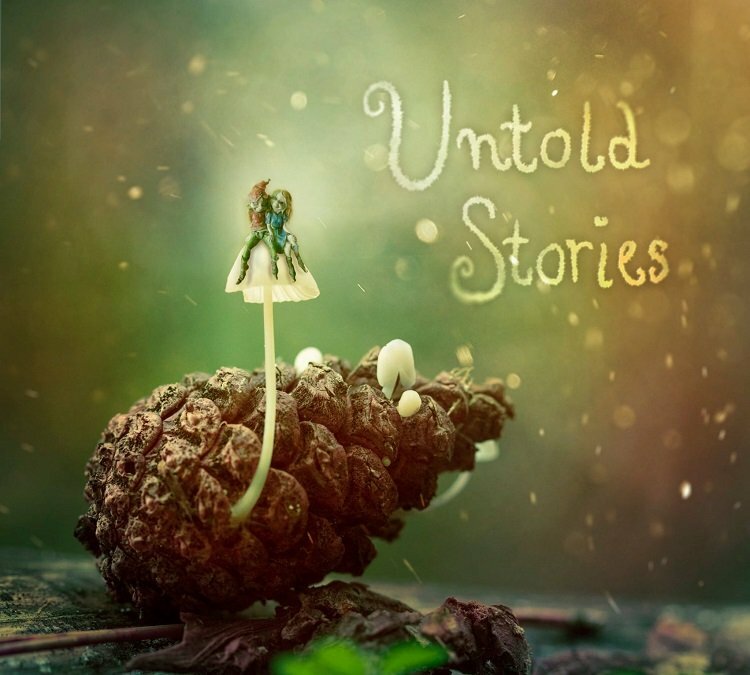 This song is about a mystical place where people once gathered to tell and listen to stories. It is not an easy place to find but it’s worth the trouble. This was also written during the very first demo sessions but has went through various arrangements and styles, before settling into this minimalistic jig-style arrangement featuring bodhran player Tuuli Rantala. Nostalgia reigns supreme with this song. Maybe not the most powerful or energetic track on the album, but a good sound to take you back to older days. This track is very smooth, maybe even slippery, but Greenrose Faire keeps it on track and takes it home. Long time ago an a place far away… A melancholy song of times long gone. This might be closest to Finnish schlager we’ve ever gone, and features prominently Pete’s Indian travelling harmonium to keep things interesting. This sounds like it will be amazing live with an enthusiastic crowd. It’s hard to sit still with such energy blasting from the speakers. Also, it’s these types of tracks that make me happy I don’t have any neighbours. A very danceable track, running away from dreams has never sounded like such a party. This differs from all the other songs in that we did not have a change to play it together at all before hitting the studio, so it came together piece by piece in the recording phase. Therefore it’s a bit of a surprise that it turned out to be maybe the most fun of all to play live. This song definitely called for Hurdy-Gurdy, so we got Lajos Oláh to play some. The story is about a virtuous and down to earth girl who for some reason has dreams of being famous and beautiful and shallow, and abhors the idea when waking up. More dancing, only this time it’s more like organised Balfolk dancing. Not only is that the feel that the sound gives, but the lyrics, “take my hand, I will guide you through the night, and see, together we’re strong” certainly sound like an invitation to dance to me. The violin play in this track sounds more classical then folk to my ears, but the overall atmosphere of the song does scream “Greenrose Faire”, and it’s a testament to the versatility of the band if you ask me. The text was originally that of a grimy battle song, but for some reason that did not go well with the upbeat melody so it was reworked as an ode to camaraderie. Whatever comes, together we’ll survive anything. This was as true in the old times as it is today. The title track of the album, this song is very typical of the group, as it definitely combines the somewhat older Folky feel with many modern influences. A song with lots of body, there is never a dull moment throughout the track. This is one of the few songs we had already played live before starting recording it, so we already knew it well, and it then rightly became the title song of the album as well. It sums up perfectly the themes of the album: roaring fire, loyal company and good stories. No matter how dark and cold it is, no one is left alone. The final track of the album, unfortunately. But the band did save a surprise for us. For this last song they mixed it up with not only a different lead singer, but also a different language. Salla steps aside to give way to Tomi, who sings this song in Finnish rather than English. A whole other direction for the band as far as we know, one more example that Greenrose Faire will not be pinned down if they don’t want to. After having listened to the entire album several times I can definitely say that Feed The Flames delivers a sound that we have grown to expect from Greenrose Faire, without sounding “more of the same”. The rock influences and love for acoustic folk combine to a unique style that reverberates not only through this album, but it also combines it with their previous work. The songs are long but stay interesting, the band members are skilled and versatile, and together they make up a winning formula, whatever type of song they play. It’s a style that we hope to be able to enjoy for many years to come! Choosing a favourite track from this album wasn’t very easy. Two songs competed closely, but in the end The Tavern had to give way to Tell You A Story. The interesting rhythms, the feeling it invokes of sharing a great evening with great friends, it all adds up to a marvellous song that for me captures the essence of what I feel about this band and this album. 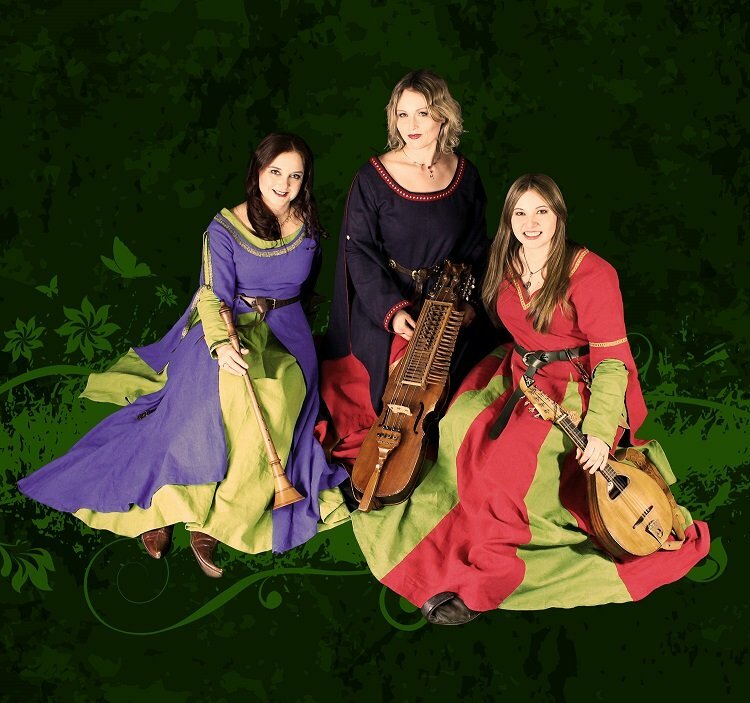 It’s worth noting that Greenrose Faire are working their way down to the rest of Europe, with at least one Dutch show planned so far at Elfia Arcen in September. If you’re able to attend one of their shows I would highly recommend it. I know we will!